Firm: LEGALITÉ advokátní kancelář s.r.o. Mgr. Marie Janšová is a specialist and recommended Czech attorney in the field of labour law. She also focuses on legal issues concerning statutory board members, personal data protection and litigation. 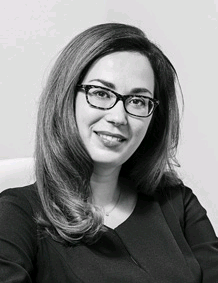 Marie is a member of the Expert Panel of the Association of Collective Bargaining and Employment Relationships, a member of the European Employment Lawyers Association and Chairman of the Czech Employment Lawyers Association. She regularly lectures and publishes. Legalité is a Prague based law firm providing high quality legal services in a national and international context. It is supported in Slovakia and has contacts within Europe, Asia and America. The Legalité team comprises leading law experts in various fields with many years of experience in advocacy and also in an academic and business environment. Our priority is to listen closely to our clients and offer them practical solutions. Legalité is defined by its specialization, expertise, quality and ambition. Having a team of specialists for specific law areas provides the client with a significant competitive advantage and certainty in all his critical steps. Our team, which has an exceptional knowledge of Czech and international law, represents a unique advisory unit. This is especially true for individuals and firms that have ambitions at an international level. The reputation of our firm is not only based on high quality legal services, but also good and fair relations with our clients that manifest themselves in mutual respect and the ability to agree on an adequate and mutually acceptable fee for our legal services. The emphasis on accepting demanding and specialized cases, which allow our lawyers to show their strengths, shows our ambition to always work with the best.